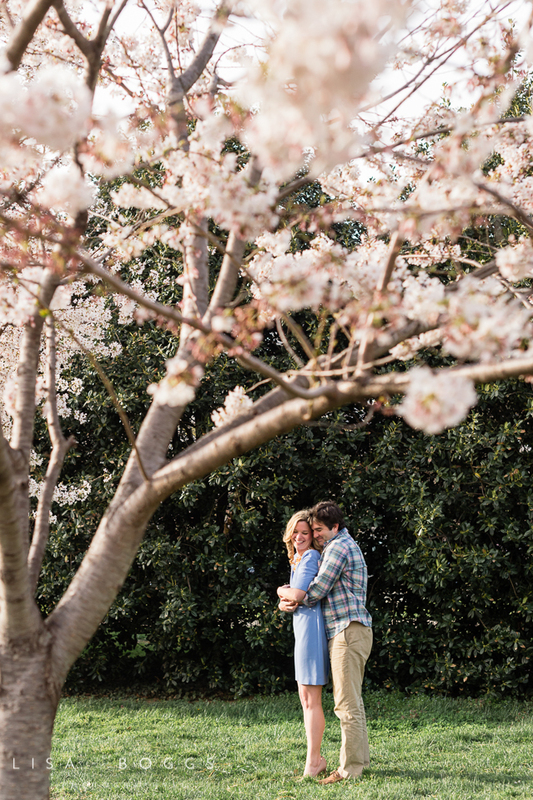 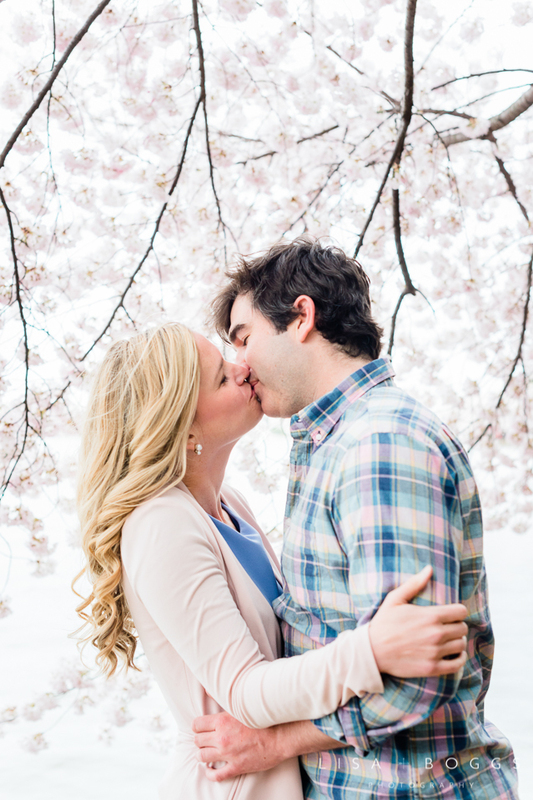 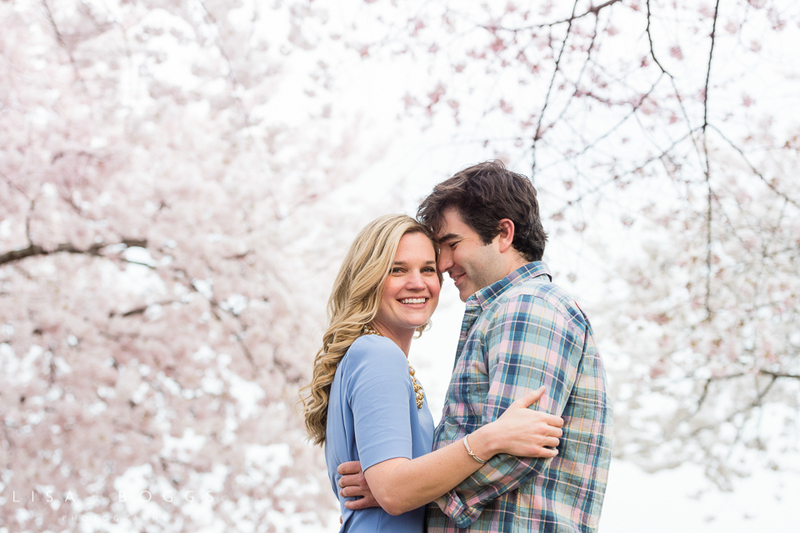 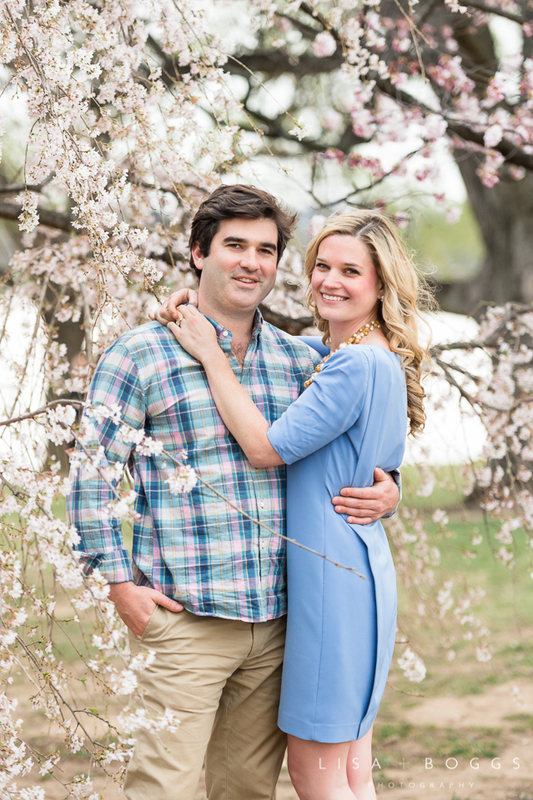 It feels like just yesterday that I was taking cherry blossom photos of Courtney and Patrick down at the Tidal Basin! 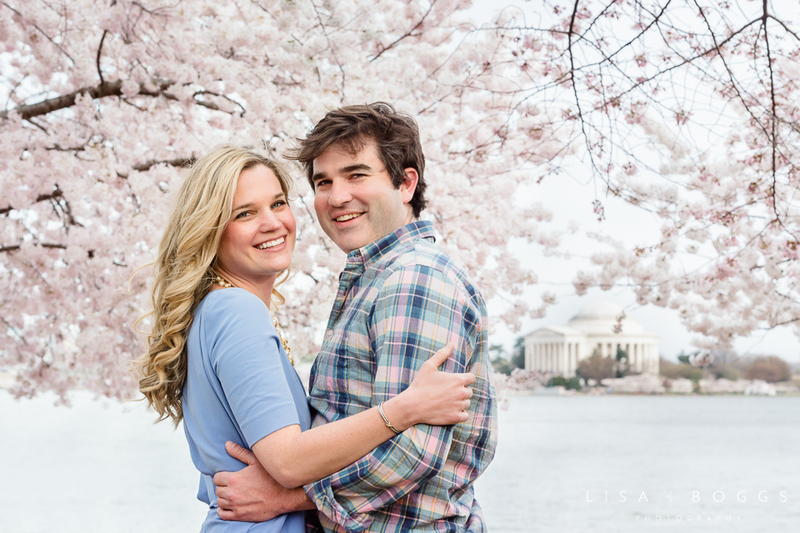 Courtney, Patrick, their dog, Lucy, and dog watcher, Denise (Pat's mom), all met me at the MLK Memorial in the spring for some gorgeous engagement portraits. 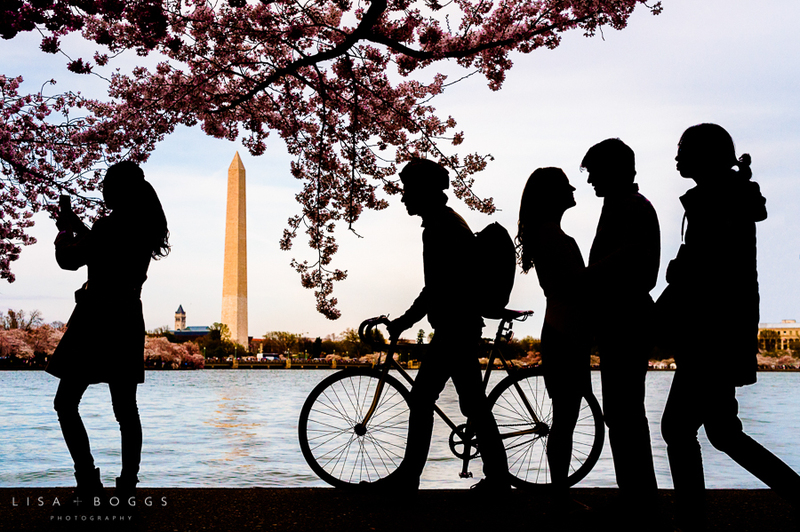 It was the perfect spring evening despite the crowds and a little bit of wind! 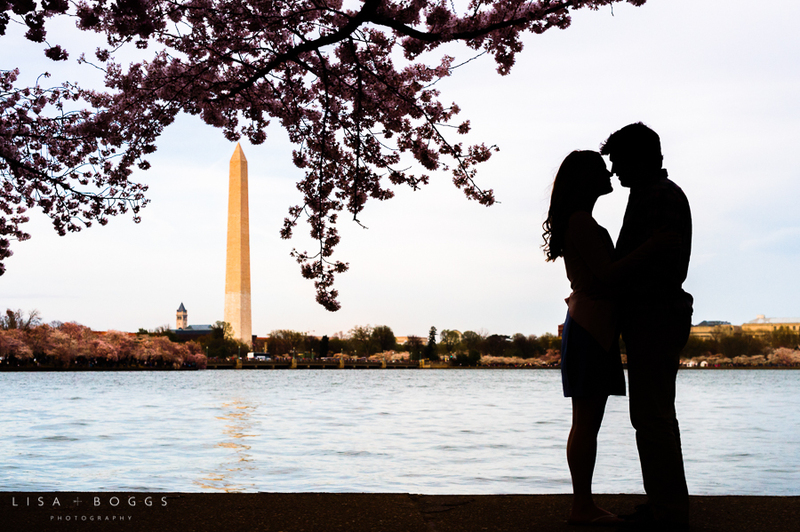 We were able to get tons of different looks with the blossoms, but my absolute favorite photos were the silhouettes I took with Courtney and Patrick in front of the Washington Monument. 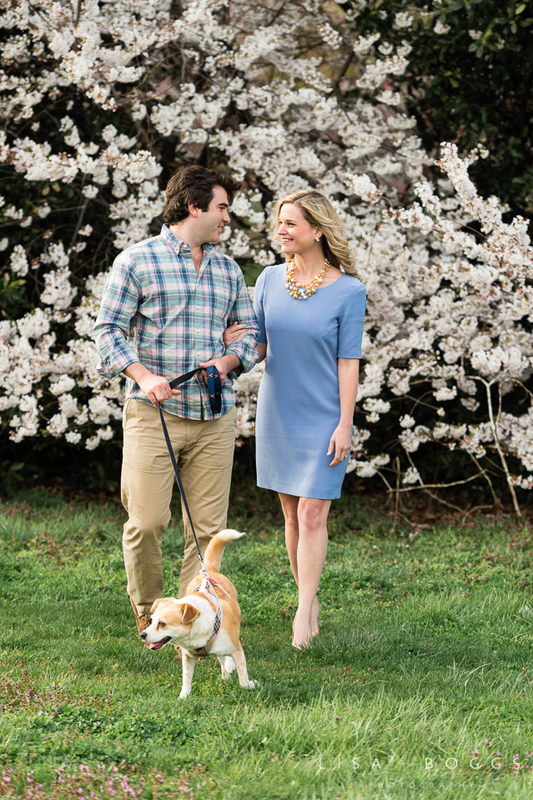 I was able to get candids with other tourists, but we also did some with Denise walking Lucy in a couple of the frames, which was a nice personal touch! 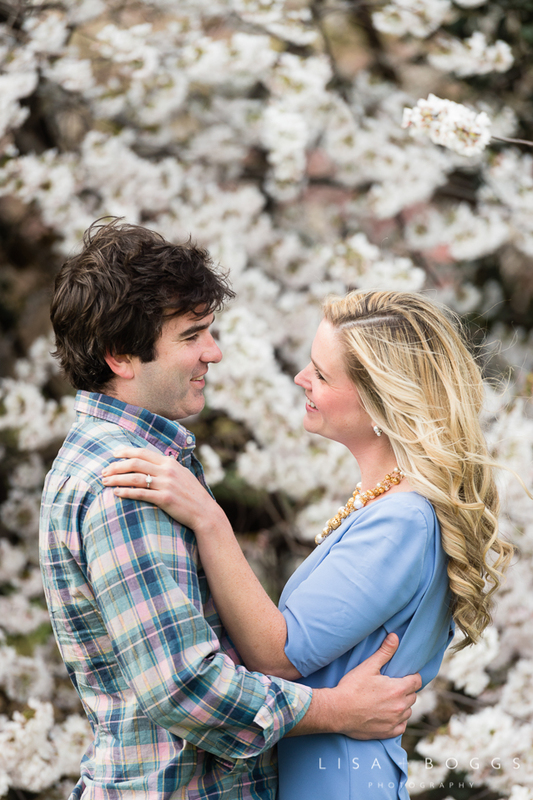 I hope you enjoy these photos as much as I do!